- Fix for packaging bug which made powerdevil crash continuously . - Fix text coloring in time settings module when used with breeze dark theme. - Merge the new network management module. There are some more WIP bug fixes. If you have device which is supported by the Plasma Mobile, you can help by flashing edge rootfs, and testing out and reporting bugs. There are some bugs where we could really do with help reproducing it as well testing. - Plasma Discover shows undefined entries in Settings menu: https://bugs.kde.org/399647 ... This specific bug is heisenbug and maintainer of the Discover is unable to reproduce it. In addition to this, you can help by testing out general shell functions. 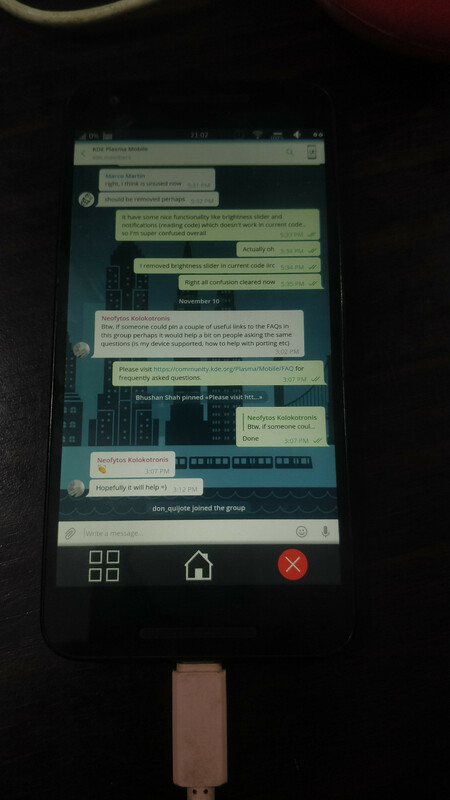 #PlasmaMobile have broken screenshot function from quite sometime. We have a qml screenshot application, which basically does the "qdbus org.kde.KWin /Screenshot screenshotFullscreen" and waits for kwin_wayland to take screenshot, and copy it from /tmp. This function uses framebuffer blit functionality and is only available on OpenGL ES 3.0. (cont) However, there is another code path screenshotArea which is not using framebufferBlit functionality, and works nice. So short-term solution is to make screenshot application use the screenshotArea, and long-term solution is to change kwin to use same code as screenshotArea if framebufferBlit is not available. Working on short-term solution for now. Turns out my investigation was wrong, I had local patch which modified kwin_wayland code, to attempt framebufferBlit on OpenGL ES 2.0 anyway. Given the blobs in Halium devices are weird, it worked anyway. So time for kwin patch. 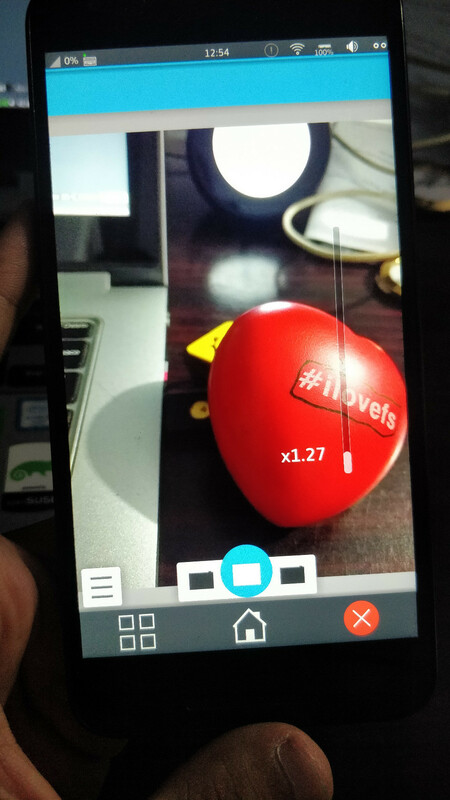 We just merged the Kirigami rewrite of the Camera application from @Jbb . There are quite some rough edges we need to fix, but progress. This is however all fine for the official application, but question I often get asked is. What about 3rd party applications? First issue was Qt in org.kde.Platform was using desktop OpenGL, which is no-go on ARM devices. (cont) Next problem was, on Halium devices we use libhybris to access the OpenGL ES. However freedesktop platform only packages Mesa by default. Which means we need to somehow provide libhybris inside the flatpak runtime. Thanks to blog post of TingPing https://blog.tingping.se/2018/08/26/flatpak-host-extensions.html and packaging work of @Jbb https://gitlab.com/debian-pm/halium/flatpak-extension-libhybris we were able to run Hardware accelerated #Flatpak applications. 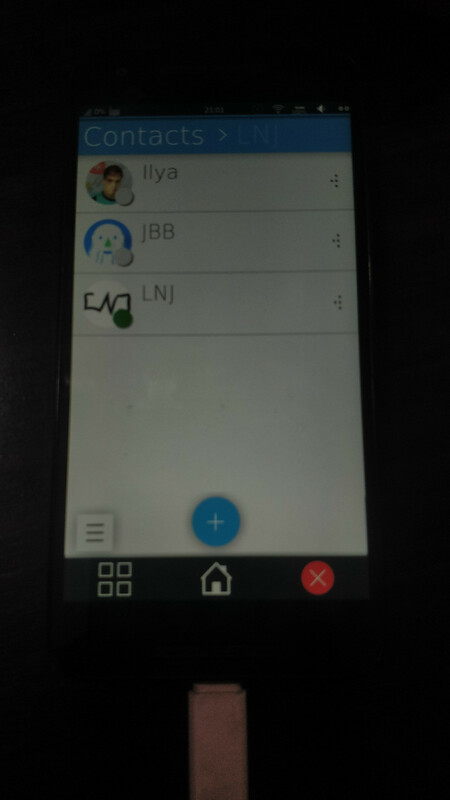 (cont) For example you can see Kaidan developed by @lnj and Telegram Desktop app running as a #Flatpak on #PlasmaMobile. @keithzg @lnj You can use flathub.org and KDE&apos;s experimental flathub repository.